1. 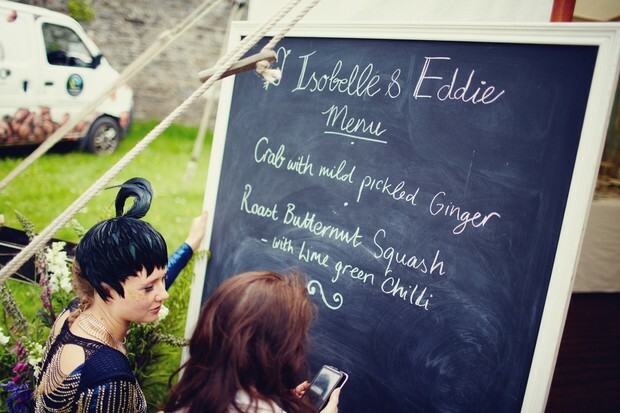 If food is a high priority it is important that you choose a venue that is also a busy food operation Monday to Sunday and not just a wedding venue. This way you can be confident that there is a high turnover of fresh food in the kitchen. They may also be in a position to offer more choice as waste would not be an issue. 3. When choosing a menu I believe it should be a reflection of the couple and their likes you cannot please all of the guests all of the time. It would be a mistake to base a menu on what Auntie Joan likes! 4. Always ask for a silent vegetarian option. You should never be charged to put a vegetarian option on the menu. This also applies to a soup option. 1. Keep it seasonal. Remember that if you are tasting a summer menu in the early Spring, it can be hard for the Chef to get the exact fresh produce that will be available on the days, i.e. Wexford Strawberries, or New potatoes etc. Eton Mess at a summer tasting is fabulous, but if your wedding is in December? 2. Every venue should have a standby option for vegetarians. If you have vegetarian guests, ask them what their favourite vegetarian meal is and get the venue to prepare that as the vegetarian option. Very often the vegetarians are forgotten and the venue is left to its own devices which in most cases mean the option is yet another vegetable pasta bake. 3. If you are ordering a prime cut such as fillet of beef or striploin, get it cooked to order for each individual guest. Venues should be able to offer at least three options, rare, medium and well these days. It’s not difficult and your guests will be amazed at this attention to detail. 4. Don’t have too many courses. A wedding breakfast is long enough at it is. A single course can add as much as 30 to 40 minutes to the meal. You don’t want to spend your entire day sitting down so think ahead. Four courses are about as much as you should go for really. Also don’t put speeches between courses, the bridal party may not notice it, but it will make the wedding breakfast seem like a very long and drawn out affair for your guests. 5. A Mezze platter is a great starter idea for getting guests to interact and get to know one another at the table. Serve on a pizza board with a handle with lots of fresh crusty bread, olives, dips, salamis, Babaghanoush, artichoke hearts, hummus etc. Guests have to pass the board around and it helps break the ice while having an interesting focal point for all the guests to comment and have fun with. 6. Mix your courses temperature wise. Don’t have all hot dishes and/or cold for example it’s a good idea to have a soup, followed by a cold starter, warm main course and cold desert. The exception for dessert would be for autumn/winter weddings where a warm dessert can go down well. 1. Consider the season your wedding is in – Is the food you want on your menu actually available at the time of year you are getting married? 2. Give your guests a variety – Having fish for both starter and main course may not be a good idea for someone who does not like fish. 3. Consider the fact that you are choosing a menu for a large number of people who will obviously have different tastes – Even though it is your big day remember not to choose only the food you like! It is important that your guests enjoy the meal also. Ask the Experts: Do My Bridesmaids Need a Hair Trial?